Celestine is an iconic character in the Warhammer 40,000 universe. 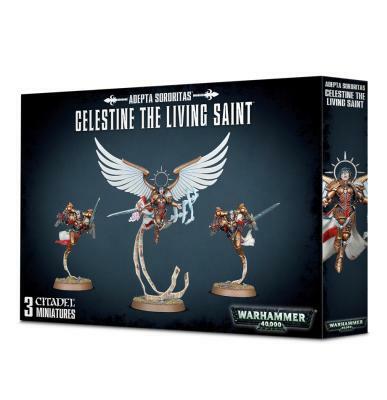 This multi-part plastic kit contains the components necessary to assemble Celestine, the Living Saint, and her 2 accompanying Geminae Superia. She wears the Armour of St. Katherine, a set of glorious golden plate replete with holy icons and sculpted symbols. The model is held aloft from the base by a scripture that attaches to her billowing cloak – even this detail is dwarfed by the enormous wings that span out from her backpack, with a spiked iron halo above her enraptured face. The sparking Ardent Blade in her right hand blossoms with roses, even as a brace of doves is released on her left. She is accompanied by the Geminae Superia, wearing similar armour (with smaller wingspans) and aggressively wielding bolt pistols and power swords. 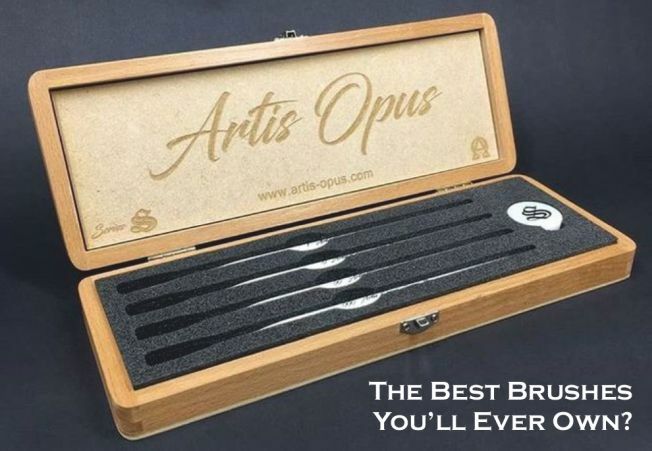 This kit comes as 46 components, and is supplied with 3 Citadel 32mm Round bases.